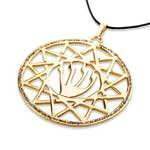 The Key of Elijah pendant is inspired by the story of the prophet Elijah in the book of Kings. 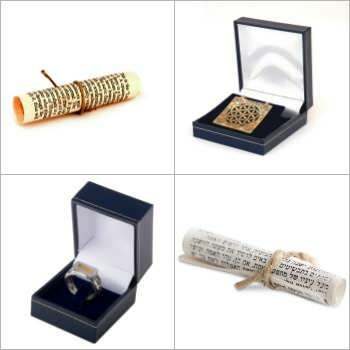 The story relates how Elijah proposed a test to prove that the Hebrew god is the true and only god and that Baal is a false god. He single-handedly competes versus 450 prophets of Baal. Despite their building an altar, sending up a sacrifice, their imploring, and self-flagellation, Baal, their god does not heed their prayers. Seeing this, Elijah mocks them and their god, Baal. At this point, he sends out for 12 stones and 4 barrels of water. He builds an altar to god from the 12 stones and digs up a trench to encircle it. He orders the drenches to be filled with the water from barrels and repeats this process 3 times (3×4=12). He then requests of God to accept the sacrifice. At that moment a fire descends from the heavens and ignites the sacrifice. All the people who witnessed this event immediately re-accepted g-d as the one and only true G-d. The Baal prophets were declared heretics and sentenced to death. In the pendant you can see 4 triangles with 12 vertices, the middle of the pendant forms a perfect square. The story of Elijah tells us of 12 stones and 12 barrels of water. 12×12=144 which is the twelfth number in the Fibonacci series, which is the mathematical series that reveals the secret of the order of the universe. 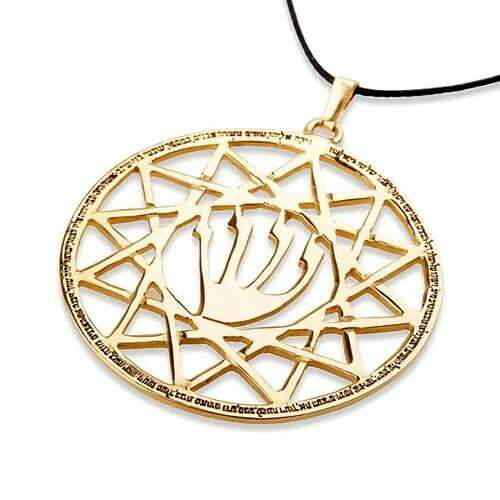 The letter in the middle of the pendant is a version of the Hebrew letter SHIN. This letter is usually only made up of 3 arms. However, legends say that when the redemption comes this letter will be made up of 4 arms; as shown in the pendant.